In 1968 Vladimir Voeikov graduated from the Biological Faculty of the Lomonosov Moscow State University with the honors Diploma by speciality of “Biophysics”. In 1971 he defended his Cand. Sc. Thesis (speciality “Biophysics”) at the same University. From 1971 to 1975 he worked as a junior research scientist at the Institute of Bioorganic Chemistry of USSR Academy of Science (named after M.M. Shemyakin and Y.A. Ovchinnikov) (Moscow). Since 1975 he worked as an Associate Professor at the Bioorganic Chemistry Department of the Biological Faculty of the Lomonosov MSU, and since 2003 until the present day – as a Professor of the same Department. From 1978 to 1979 he carried out a research scientific work at the Biochemistry and Medicine faculty of the Duke University, North Carolina, USA, under the leadership of Professor Robert Lefkowitz (Nobel Laureate of 2014). In 2003 г. he defended his doctoral thesis in Physiology and Biophysics “Regulatory function of reactive oxygen species in blood and in water model systems” at the Moscow State University. Vladimir Voeikov is the follower and the successor of the ideas and experimental works of such scientists as Ervin Bauer, Alexander Gurvich, Albert Szent-Györgyi, Simon Shnol, Emilio Del Giudice. He permanently collaborates with Prof. G. Pollack (University of Washington, Seattle, USA), one of the leaders in the emerging field of “Water Science”. Key scientific interests of Vladimir Voeikov: physical-chemical foundations of biological activity, free-radical and oscillatory processes in water and their role in bioenergetics. 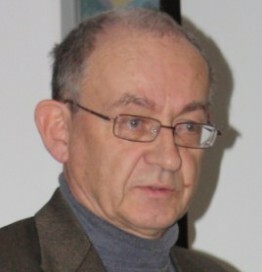 Vladimir Voeikov is an Honored Worker of Higher Education of the Russian Federation, a member of the Research Council of the International Institute of Biophysics in Neuss (Germany), a member of SPIE (International Society for Optical Engineering, USA) and All-Russian Biochemical Society. — redox and oscillatory processes in water systems. This work aims at confirmation of the key role of water in the vital processes, in particular, in bioenergetics. Find out more about Dr. Voeikov.